we were awarded this years prize for “Exemplary implementation of European policy” via the ESDIN project. dbyhundred were very proud to have Project Managed and Administered this award winning project. ESDIN delivered a significant step towards European harmonisation of geographic information from authoritative sources. David Overton was very proud to be recognised for dbyhundreds role and to be invited onto stage to accept the trophy and certificate on behalf of the consortium and together with EuroGeographics’ President, Ingrid Vanden Burghe and Programme Manager, Antti Jakobsson. We’re now working to extend this work and unlock the potential of this essential Public Sector Information. The following day we held the first consortium meeting of a major new project that will fully unlock the potential of authoritative geographic information in Europe. 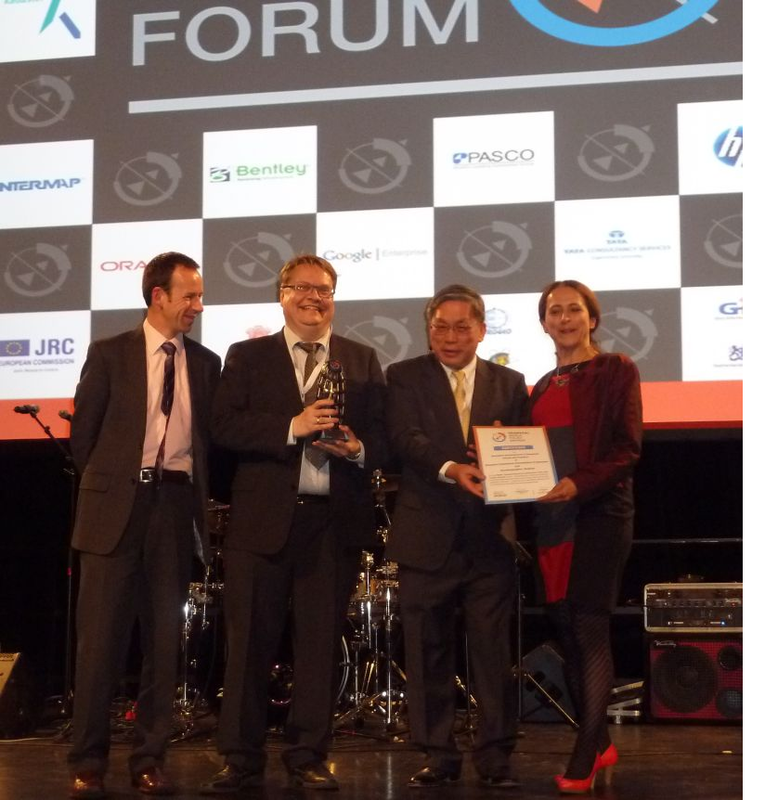 ← ESDIN wins prize for Geospatial Excellence!